Did you know that you can increase your chances of a shorter and easier labor just by adding a particular fruit to your diet in the last few weeks of pregnancy? One study published in the Journal of Obstetrics and Gynecology found that women who ate dates in the last 4 weeks of pregnancy dilated faster and had faster labors compared to those that did not consume dates. The date and pregnancy study was carried out at Jordan University of Science and Technology, who studied 114 women from February 2007 to January 2008. The date consuming group (69 women) consumed at least 6 date fruits per day in the last 4 weeks of pregnancy compared to the non-date consuming group (45 women) who had none. The two groups were similar in terms of gestational age and maternal age. The date consuming group were more dilated upon admission to the hospital, had a higher proportion of intact membranes, a greater rate of spontaneous labor, a lower rate of induction, and an average of 7 hours shorter labor compared to the non-date consuming group. 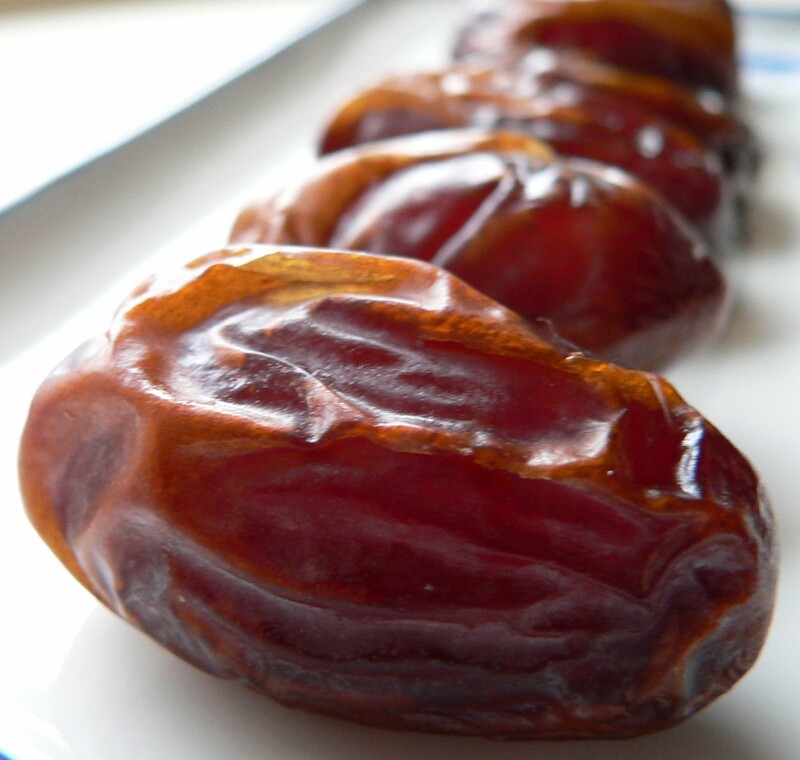 The researchers concluded that eating dates in the last month of pregnancy can reduce the need for induction and augmentation of labor and may shorten the overall duration of labor. Researchers believe that something in the dates mimics the hormone oxytocin, a hormone involved in labor, among other things. Date fruit (phoenix dactylifera) comes from a date palm tree which has long been cultivated for its fruits. Date fruits (which contain a hard seed inside) can be soft or dried and enjoyed in a number of ways. Dates are a terrific source of potassium and also contain sugar, protein and a number of vitamins and minerals. They can serve as a great natural sweetener. Dates can be stored in a glass jar in a cupboard or in the fridge. These vegan and paleo energy balls are a quick and easy treat, perfect for snacking! These would also make great labor snacks. In a large food processor, process the walnuts and coconut until crumbly. Add in remaining ingredients and mix until a sticky, uniform batter is formed. Scoop the dough by heaping tablespoons, then roll between your hands to form balls. Arrange them on a baking sheet lined with parchment paper, then place in the freezer to set for at least an hour before serving. Store the balls in a sealed container in the fridge for up to a week, or in the freezer for an even longer shelf life. You may also roll them in shredded coconut or cocoa powder before chilling. In a food processor, mix together almond flour and coconut flour. Add salt and baking soda. Next add the dates until mixture resembles coarse sand. Add eggs and apple cider vinegar. Lastly, pulse in walnuts. Transfer batter to a mini loaf pan. Bake at 350° for about 28 to 32 minutes. Allow to cool in pan for 2 hours before removing. Blend pecans and cacao powder in food processor until combined and coarsely ground. Add in dates and process until blended into dry ingredients. Process in vanilla, stevia and agave until well combined. Stir in dried cranberries with a spoon. Press mixture into an 8 x 8 inch baking dish. Freeze for 1 hour, or until firm, then cut into 16 squares. Enjoy!